The former Defence Minister also said, that while buying fighter planes, the plane itself may cost less than the hi-tech accessories which are purchased as part of the deal. 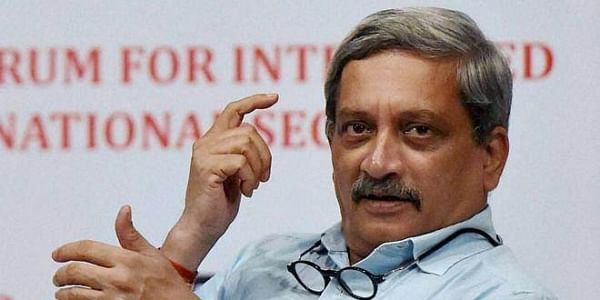 PANAJI: Slamming the Congress for criticising the Rafale deal in the run up to the Gujarat elections, Goa Chief Minister Manohar Parrikar said that in India, purchases of fighter aircraft is unluckily, considered on par with buying pulses. He also slammed his predecessor AK Antony for his questionable remarks on the Rafale purchase deal, which the then Minister had said was in violation of Central Vigilance guidelines and had delayed the purchase considerably. "I am explaining this only to make you understand that an aircraft may cost 92 million Euros, but the other components will cost you 150 million Euros because you have to make it fighting fit. Unluckily we in India deal with aircraft purchases, or the fighter purchases like we think of tur dal and moong dal. They are not," he said.